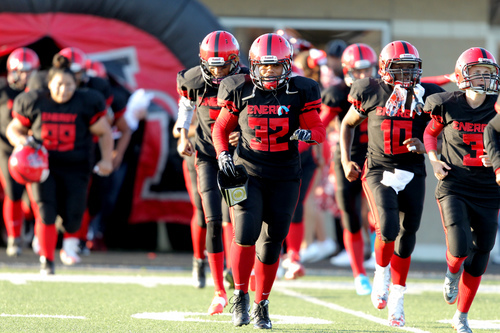 Help support your favorite Houston Energy Football player with a contribution towards their sponsorship. The players are encouraged to raise their own sponsorships by fundraising, selling home game tickets, etc. However, sometimes they may need a little help!! Their sponsorship covers the costs of home games, travel for away games, end of the season banquet, uniforms, equipment and any miscellaneous expenses that might occur throughout the season. HOW TO LET US KNOW WHICH PLAYER YOU'RE SPONSORING: After you complete you're generous donation through Pay Pal, please click the link "RETURN TO MERCHANT" and you'll be redirected back to Houston Energy website where you can let us know your favorite players name and even leave a message for them. THANKS AGAIN FOR ALL OF YOUR SUPPORT!! !